'Canyon Leaves' by David Sidwell - DPC Prints! 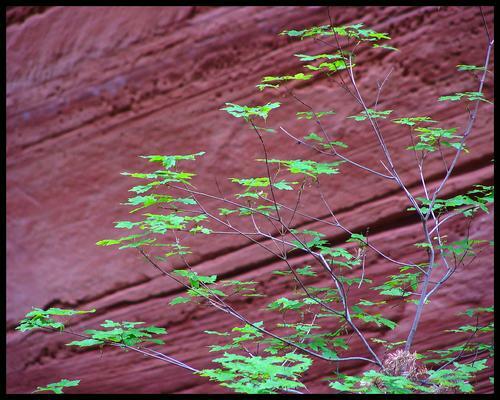 This photograph was taken in Zion National Park in Utah, USA. This was taken just before sunset and in the deepest part of the canyon where the canyon walls rise nearly 2000 feet and are a mere 30 feet across from each other. No wonder they call it the Narrows. While hiking there, this tree caught my eye.